There are several thousand species of wild flowers in Britain which vary from the very common abundant through to some very rare species sometimes only found at one or two sites. From a personal point of view, I always enjoy seeing rare species, particularly if I have not seen them before and then getting some images. But I also enjoy photographing many of our very common species. 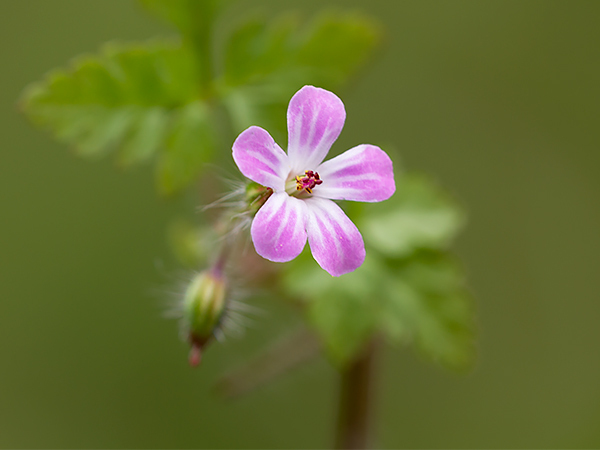 Herb Robert (Geranium Robertianum) image taken in Staffordshire.